On the occasion of WORLD BEST TOURIST DESTINATION AWARD CEREMONY for 2014 held in Harare, Zimbabwe, the President of European Council on Tourism and Trade delivered his long awaited speech for Zimbabwe-Favorite Cultural Destination in 2014. – The promotion and support offered to a new concept of community natural protection supporting tourism friendly to nature, with low ecological impact and preservation of natural biodiversity and protection of endangered species and areas, especially rainforest south-African eco-climate. – Offering to tourists the outstanding and pristine nature and the opportunity to explore nature, to contribute to ecological preservation and the opportunity to visit extraordinary space such as: the unique landscape of Victoria Waterfall, the National Parks as: Mana, Eastern Highlands from Manicaland, Mana Basins from West Mashonaland, Exfoliated Hills from Matebeland, Chilojo Cliffs, and Matobo Hills from Bulawayo etc. – The preservation of an outstanding historical and cultural patrimony that comprises wonderful sites such as: cultural, historical and rich legacy of Great Kingdom of Zimbabwe, the preservation of the former capital of Shone Kingdom-Great Zimbabwe in Masvingo area with a world class fortification system and palatial complex from 12th century, these are offering a rare insight for tourists into one of the greatest civilization of pre-colonial Africa and a rare window into traditions of centuries. – Today, REPUBLIC OF ZIMBABWE is creating and offering for tourists an open air museum, a rare collection of historical and archeological treasures that educate and enrich the world. – – The preservation of cultural and natural sites of world significance and value such as: Great Zimbabwe National Monument (added to UNESCO list in 1986), Khami Ruins National Monument (added to UNESCO list in 1986), Matobo Hills (added to UNESCO list in 2003), Mana Pools National Park, Sapi and Chewore Safari Areas (added to UNESCO list in 1984), Mosi-oa-Tunya / Victoria Falls and UNESCO candidate regions as:Ziwa national monuments dating from Stone Age period,make destination Zimbabwe to offer an incomparable contribution to the world legacy. May this award be transformed in a support for developing the international standing of REPUBLIC OF ZIMBABWE, for a sustainable tourism and development and in a base for further success for A WORLD OF WONDERS –THE REPUBLIC OF ZIMBABWE. Zimbabwe has become the first African country to be nominated as WORLD BEST TOURIST DESTINATION. The decision has being taken by European Council on Tourism and Trade, the main european body entrusted to promote European tourism in the world. The decision was announced by the President Office of European Council on Tourism and Trade at the end of two day`s of debates on the occasion of European spring 2014 tourism conference. 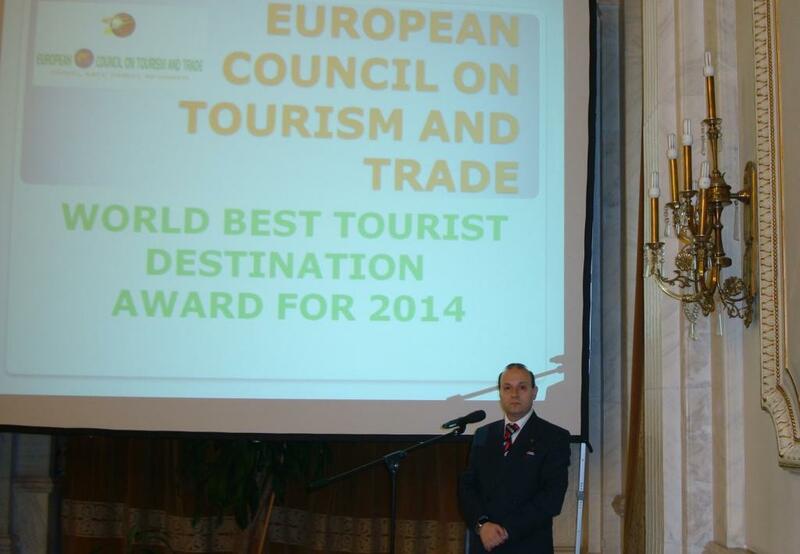 On May 3, 2014 in a public séance of the European Council on Tourism and Trade, gathering representatives of tourism organizations from European continent has debated the list of candidates for WORLD BEST TOURIST DESTINATION for 2014. On the debate for WORLD BEST TOURIST DESTINATION AWARD FOR 2014, Professor Dr. Anton Caragea, President of European Council on Tourism and Trade (ECTT) presented the report titled: ZIMBABWE: THE PERFECT AFRICAN DESTINATION. A SEVEN WONDER IN TOURISM AND CULTURAL POTENTIAL proposing ZIMBABWE as the winner of WORLD BEST TOURIST DESTINATION FOR 2014 and as receiver of FAVORITE CULTURAL DESTINATION distinction for 2014. Delegates from 27 countries debated the future of tourism for a two day summit. – The peerless organization of World Tourism Organization General Assembly in 24-30 August 2013, the world gathering of tourism experts comprising more than 120 countries. The successful organizing of this world event, despite tremendous logistic and economic challenges, proves without a doubt the capacity of Zimbabwe authority and tourism industry to organize world level events and to host all level of tourism. After the perfect support and creative vision in carving a successful world tourism meeting, ZIMBABWE has unequivocal demonstrated that is a safe, open and perfect managed tourism power house. Community based ecotourism protection carved by Minister Walter Mzembi is a perfect way to share revenues and income, to support rural communities in prospering and presenting their foodstuff and handicrafts to the world and to make eco-tourism as the base for an economic local development. Sharing tourism benefits to all the population, offering eco-friendly tourism it is a lesson that REPUBLIC OF ZIMBABWE is offering to the world. – Offering to tourists and outstanding and pristine nature and the opportunity to explore nature, to contribute to ecological preservation and the opportunity to visit extraordinary space such as: the unique landscape of Victoria Waterfall, the National Parks as: Mana, Eastern Highlands from Manicaland, Mana Basins from West Mashonaland, Exfoliated Hills from Matebeland, Chilojo Cliffs, and Matobo Hills from Bulawayo etc. All this regions and natural parks are model of achievements in ecological and green tourism that must be world recognized. – The preservation of an outstanding historical and cultural patrimony that comprises wonderful sites such as: cultural, historical and rich legacy of Great Kingdom of Zimbabwe, the preservation of the former capital of Shone Kingdom-Great Zimbabwe in Masvingo area with a world-class fortification system and palatial complex from 12th century, this are offering a rare insight for tourists into one of the greatest civilization of pre-colonial Africa and a rare window into traditions of centuries. 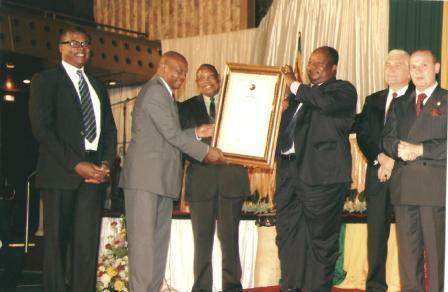 REPUBLIC OF ZIMBABWE is from 3 May 2014 the official winner of WORLD BEST TOURIST DESTINATION AWARD FOR 2014. – – The preservation of cultural and natural sites of world significance and value such as: Great Zimbabwe National Monument (added to UNESCO list in 1986), Khami Ruins National Monument (added to UNESCO list in 1986), Matobo Hills (added to UNESCO list in 2003), Mana Pools National Park, Sapi and Chewore Safari Areas (added to UNESCO list in 1984), Mosi-oa-Tunya / Victoria Falls and UNESCO candidate regions as: Ziwa national monuments dating from Stone Age period with an incomparable contribution to world legacy. – The REPUBLIC OF ZIMBABWE is today a hot spot for adventure tourism offering a large area of regions suitable for this special kind of tourism and the necessary infrastructure to welcome adventure sicker, the safety structures and natural potential to rank amongst the top world adventure spots. – Keeping alive spiritual tradition, integrating tourist`s and visitors in the atmosphere of the REPUBLIC OF ZIMBABWE people, offering possibility for an enriching cultural experience, are all achievements that transform REPUBLIC OF ZIMBABWE in a spiritual first class destination. After hearing the report, Senator Ionel Agrigoroaiei, from Romanian Parliament and Director of European Parliamentary Committee in European Council on Tourism and Trade had express the feeling’s of all present at the gathering declaring that: REPUBLIC OF ZIMBABWE is the perfect candidate, with a perfect record of promoting eco-friendly tourism, ecological and social oriented tourism and that only a unanimity vote in favor of REPUBLIC OF ZIMBABWE could express the unwavering European tourism and economic community support in favor of such a world model. Mr. Victor Deleanu, ECTT rapporteur, presented also a report on ZIMBABWE: HOT SPOT OF ADVENTURE TOURISM reiterating the highest praises for the country safety record and infrastructure and hospitality industry achievements that are making Zimbabwe the perfect destination in Africa. Mr. Mihai Prundianu, Chairman of Trade Mission of ECTT also highlighted the importance that today, when Africa is celebrated 50 years of African Unity, Europe must express his commitment and appreciation for Africa by crowning ZIMBABWE as FAVORITE CULTURAL DESTINATION AND WORLD BEST TOURIST DESTINATION FOR 2014. In the end of the debate European Council on Tourism and Trade decided, unanimously, to award WORLD BEST TOURIST DESTINATION FOR 2014 TITLE TO REPUBLIC OF ZIMBABWE and to declare REPUBLIC OF ZIMBABWE -FAVORITE CULTURAL DESTINATION in 2014. 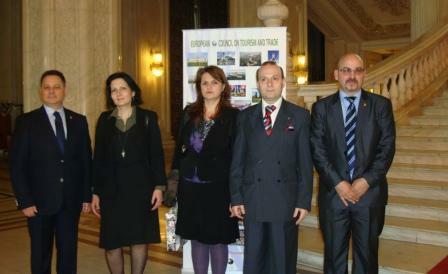 Professor Dr. Anton Caragea-President of European Council on Tourism and Trade has a photo taken with the participants. It was also presented the Official Invitation, on behalf of Ministry of Tourism and Hospitality of REPUBLIC OF ZIMBABWE for a delegation of European high-ranking official of European Council on Tourism and Trade, to present theWORLD BEST TOURIST DESTINATION AWARD in Harare, in person, to His Excellency President of REPUBLIC OF ZIMBABWE –ROBERT GABRIEL MUGABE the most outstanding personality of today Africa. Awarding the highest world tourism prize of European Council on Tourism and Trade, accepting the invitation for a working visit of high-ranking members of European Council on Tourism and Trade in REPUBLIC OF ZIMBABWE, are all momentous and felicitous occasions that are offering the symbol of admiration that all tourism experts are having for the potential and future of tourism in REPUBLIC OF ZIMBABWE concluded at the end of the meeting Professor Anton Caragea, President of European Council on Tourism and Trade. CASA PANCIU-House of Panciu was selected as BEST ROMANIAN WINE FOR 2014-DIPLOMATIC WINE and is enjoying the long standing international recognition of the products of Panciu area, a wine region of solid and well established brand in the world and on all wine markets across the continents. The Romanian wine is widely considered among the main constituents of Romanian image abroad. Taking in consideration his quality and world fame, the Romanian wine is part of the fore-front of country economic boom as part of the international recognition, country brand and a main export product. In order to stimulate the Romanian wine promotion and to foster new international recognition`s for Romanian wine producers, the Institute of International Relations and Economic Cooperation of Romania is hosting an annual competition among the top wine brands in the country, choosing in the final selection the Romanian top quality wine: The Diplomatic Wine. On 18 December 2013 the diplomat’s commission announced his final decision: for 2014 this distinguish honour, as Romania’s top wine was entrusted to House of Panciu ( Casa Panciu). The House of Panciu has presented to the contest a large area of wines among them the famous: Sauvignon Blanc, White Girly (Feteasca Alba), Black Girly (Feteasca Neagra),Muscat Ottonel, Back Lady (Babeasca Neagra) or wines from Sagio line, maturated for at least 12 months in barrel’s of different origins (French, Romanian, American) that are offering to the wine specials aroma’s as: chocolate, coffee, vanilla etc. The wines from House of Panciu stirred the imagination of the diplomatic taster committee, encompassing diplomats from Asia, Africa and Europe-the main trading area for Romanian wines). The best wine was considered to be the Cabernet Sauvignon and Black Girly (Feteasca Neagra) and as the best sparkling wine was voted the Muscat Ottonel brand. The House of Panciu managed to conquer the assistance not solely by the variety of the wine products presented but also by the special characteristics of the sparkling wines offered for tasting. Keeping in mind the aroma, strengths, color, profundity and taste particularities of the analysed wines the House of Panciu had managed to prove eloquently that the Romanian Wine and specially the Vrancea region has not said his last word for the connoisseurs and still has a role to play on the wine market. The Diplomats Wine, title awarded to the best Romanian wine, is bringing not only international and internal recognition to the producers but will be also offered as an intricate part of country brand and image and as a protocol element in all international and diplomatic activities. Foreign dignitaries in visit to the country will have an opportunity to enjoy the magic of Romanian wine, by House of Panciu as a proof of the high quality of Romanian wine also Romanian diplomatic delegations will bring the products of House of Panciu as a testimony of Romanian wine across the globe, stated Professor Dr. Anton Caragea, Director of Institute of International Relations and Economic Cooperation. This is a formidable achievement, based on the efforts of the team of wine makers specialists form House of Panciu, a team that succeeded in reaffirming the potential of Vrancea wine makers in Romanian and abroad. The House of Panciu is currently producing more than 20 brands of sparkling and still wine at high quality standards, benefiting by the special natural environment of Tifesti area, an area with steady and constant solar exposure, with good quality soil, without using pesticide or artificial fertilizers. The House of Panciu is the heart and soul of the wines produced from a 120 hectares vineyard in Tifesti county, Panciu vineyards and cultivated with French types of grapes as: Sauvignon Blanc, Muscat Ottonel and Cabernet Sauvignon, but also the most famous and loved Romanian type of grapes such as: White Girly, Royal, Sarba, Black girly and Black Lady. Starting from 2009, this hard labor in the vineyard is having his fruits in the market presence of the House of Panciu products, special wines with low quantities of preservatives. The wines obtained at the foothills of Vrancea are having a playful and active character resulted from the fermented history of the land of Vrancea. Supplementary the House of Panciu is enjoying the long standing international recognition of the products of Panciu area, a wine region of solid and well established brand in the world and on all wine markets across the continents. Casa Panciu a castigat titlul de CEL MAI BUN VIN ROMANESC-VINUL DIPLOMATILOR pentru 2014 si beneficiaza de indelungata recunoastere internationala de care se bucura produsele zonei Panciu, zona cu renume solid, bine stabilit pe pietele de gen din intreaga lume. Vinul romanesc este considerat unul din elementele principale de identitate ale Romaniei in lume. Prin calitate si renume, vinul din Romania ocupa unul din locurile fruntase in economie, ca produs de export si de recunoastere nationala. Pentru a sprijinii promovarea vinului romanesc si pentru a oferi noi posibilitati de recunoastere internationala pentru producatorii romani, Institutul de Relatii Internationale si Cooperare Economica organizeaza anual o competitie a celor mai bune vinuri din tara noastra, alegand la final cel mai bun vin: Vinul Diplomatilor. In data de 18 decembrie 2013 comisia diplomatilor si-a anuntat decizia : pentru anul 2014 aceasta onoare deosebita, de a fi considerat cel mai bun vin al Romaniei, a revenit vinurilor produse de Casa Panciu. Casa Panciu a introdus in concurs o larga gama de vinuri, printre care amintim excelentele: Sauvignon Blanc, Feteasca Alba, Feteasca Neagra, Feteasca Regala, Muscat Ottonel, Babeasca Neagra sau vinuri din gama Sagio, maturate cel putin 12 luni in barrique-uri de diverse origini (frantuzesc, american sau romanesc), si imbogatit cu arome complexe, de cafea, ciocolata sau vanilie etc. Vinurile de la Casa Panciu au starnit entuazismul comisiei de diplomati, reprezentand trei continente ( cate trei diplomati din Asia, Africa si Europa, ce provin din principalele piete de desfacere a produselor vini-viticole romanesti). Cel mai bun vin fiind considerat cupajul de Cabernet Sauvignon si Feteasca Neagra, iar la capitolul cel mai bun vin spumant, sufragiile s-au indreptat spre Muscat Ottonel. Casa Panciu a reusit sa cucereasca asistenta nu doar prin varietatea sortimentelor de vin prezentate, dar si prin caracteristicile deosebite ale vinurilor spumante prezentate. Prin aroma, tarie, culoare, calitati organo-leptice si profunzimea vinurilor, oferite pentru degustare, Casa Panciu a reusit sa demonstreze diplomatilor ca vinul romanesc, din regiunea Vrancea, nu si-a scris ultima pagina si nici nu si-a spus ultimul cuvant. 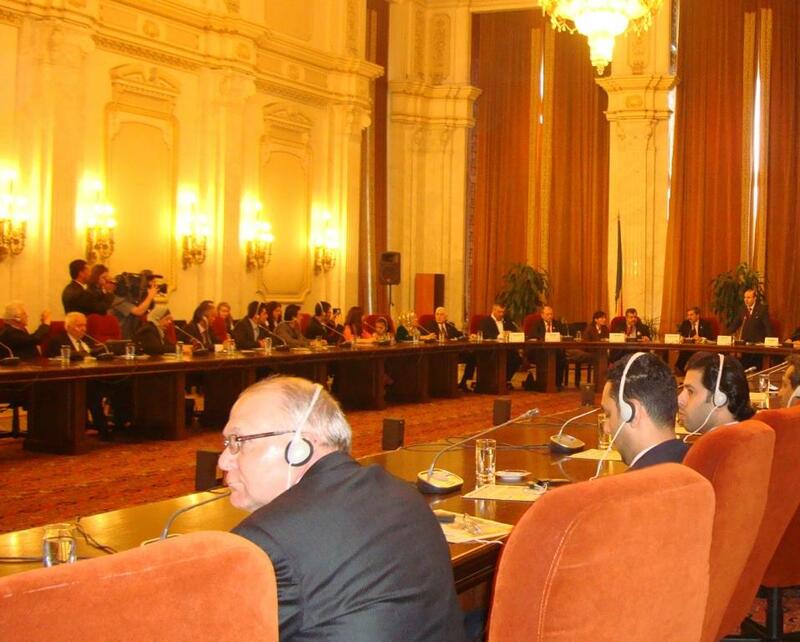 Vinul diplomatilor, titlul corespunzator celui mai bun vin romanesc al anului, aduce nu doar recunoastere interna si internationala producatorilor, dar va fi si oferit ca element de protocol si de recunoastere a imaginii Romaniei, in toate delegatiile internationale din anul 2014. Delegatiile straine ce vor sosi in tara noastra vor putea sa guste magia vinului romanesc, prin produsele Casa Panciu, iar in toate delegatiile internationale noi vom aduce produse de la Casa Panciu, ca semn al inaltei calitati a vinului romanesc pe toate meridianele globului. Totodata nu pot decat sa il felicit pe dl. Daniel Guzu, Directorul de la Casa Panciu, pentru inalta calitate a produselor sale, produse care au cucerit atentia diplomatilor straini, produse care au reusit sa se impuna ca fiind vinul anului 2014, vinul diplomatilor, si care vor reprezenta imaginea vinului din Romania timp de un an. Este aceasta o remarcabila realizare, bazata pe eforturile echipei de profesionisti in vinificatie de la Casa Panciu, care au reusit sa readuca zona Vrancea in topul producatorilor de vin din tara noastra. Casa Panciu produce peste 20 de sortimente de vinuri linistite si spumante, de o calitate deosebita, beneficiind de cadrul natural deosebit al ariei Tifesti, zona cu o indelungata expunere solara, cu un pamant de cea mai buna calitate, ne-epuizat de agricultura intensiva, fara chimicale si fara tratamente agresive. Casa Panciu este inima si sufletul vinurilor provenite din cele peste 120 de hectare situate la Tifesti, in podgoria Panciu, cultivate cu soiuri frantuzesti precum Sauvignon Blanc, Muscat Ottonel si Cabernet Sauvignon, dar mai ales cu cele mai renumite si iubite soiuri romanesti de Feteasca Alba sau Regala, Sarba, Babeasca Neagra si Feteasca Neagra. Din 2009, munca grea si dedicata din podgorie se fructifica prin prezenta pe piata a vinurilor Casa Panciu, vinuri cu un continut minim de sulfiti. Vinurile obtinute la poalele muntilor Vrancei au un caracter vioi si neastamparat, precum acest pamant framantat, aflat la imbinarea placilor tectonice. In plus Casa Panciu beneficiaza de indelungata recunoastere internationala de care se bucura produsele zonei Panciu, zona cu renume solid, bine stabilit pe pietele de gen din intreaga lume. 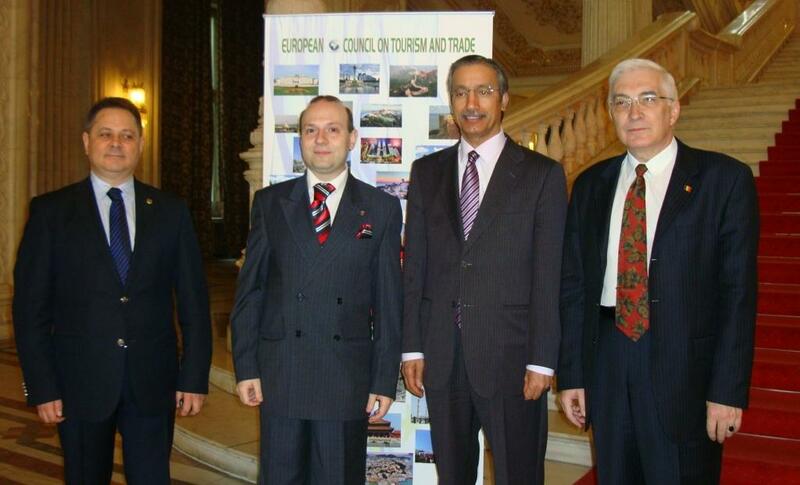 Between 5 to 10 May 2013 a high ranking official delegation of European Council on Tourism and Trade, under the leadership of H.E. Professor Dr. Anton Caragea , President of European Council on Tourism and Trade ( ECTT) was invited for a working visit in People`s Democratic Republic of Lao( Lao PDR). The Government of LAO PDR and ECTT delegation at the handover ceremony for WORLD BEST TOURIST DESTINATION AWARD FOR 2013. The delegation had also the outstanding task of presenting to the people and Government of Lao PDR the highest honor in tourism: the WORLD BEST TOURIST DESTINATION AWARD FOR 2013. The visit has being encompassed in the rapid developing bilateral relation between Europe and Laos, in a rapid evolving dialogue and a reciprocated desire to establish an extensive and consolidate partnership, Laos being presently the main partner of our European Council on Tourism and Trade in the South-East Asia area. In the framework of H.E. President Dr. Anton Caragea visit an inclusive discussion was held with H.E. Thongsing Thammavong -Prime Minister of Lao. H.E. Thongsing Thammavong -Prime Minister of Lao PDR and H.E. President of Dr. Anton Caragea in an inclusive discussion. Tabled at the meeting where the extension of bilateral exchanges in areas such as economy, tourism, culture and political dialogue. H.E. Thongsing Thammavong -Prime Minister of Lao has outlined for European delegation an extensive presentation of the Laos economic situation as a country in full and ample development, with a rate of annual economic growth of 4 to 7%, and an expansion rate of incoming tourists of more than 20% annually and being counted amongst economic tigers of the area. Also the Prime Minister had expressed the sincere appreciation of the Government and People of Laos for the instrumental role played by Professor dr. Anton Caragea in promoting Laos image in the world and in bestowing the WORLD BEST TOURISM DESTINATION title for Lao. On his turn, professor dr. Anton Caragea had emphasized the strong points of Lao: political stability, impressive economic development and the clear express desire to extend the bilateral relation. The visit H.E. Professor Dr. Anton Caragea lead delegation had included also an extensive dialogue with H.E. Dr. Bosengkham Vongdara, Minister of Culture, Tourism and Information, and H. E. Vice-Prime Minister Asang Laoly and Dr. Thongloun Sisoulith-Minister of Foreign Affairs. Tabled at the meetings where issued such as the establishment of a Council for Business and cooperation, Bilateral Chamber of Commerce, Honorary Consulates and other structures destined to enhance the economic , cultural and political partnership. H.E. Dr. Bosengkham Vongdara, Minister of Culture, Tourism and Information in a fruitful dialogue with H.E. Professor Dr. Anton Caragea. H.E. Dr. Bosengkham Vongdara, Minister of Culture, Tourism and Information expressed his appreciation for the Professor dr. Anton Caragea support for Laos in championing at European level with considerable influence and energy the country as a WORLD BEST TOURIST DESTINATION. During the discussion with Dr. Bosengkham Vongdara , professor dr.Anton Caragea had presented the arguments for Lao PDR being considered as a world power in culture and tourism , noting that in XXI century that values of a nation is encompassing the cultural and historical patrimony and in this regard Lao PDR is an outstanding country. At the end of the meeting, professor dr. Mircea Constantinescu, Director of European Tourism Academy had bestow the title and insignia and certificate of European academician to H.E. Dr. Bosengkham Vongdara, Minister of Culture, Tourism and Information for his unremitting efforts in promoting tourism as a tool for peace and development. Mircea Constantinescu, Director of European Tourism Academy bestows academic insignia to Academician Dr. Bosengkham Vongdara. The program of European delegation headed by H.E. Professor Dr. Anton Caragea also included a strong cultural element like visiting UNESCO heritage city of Luang Prabang, That Luang National Stupa, Vat Siseket temple, Vat Xiang tong, UNESCO classified monuments such as: Vat Vixun, Vat Phat Tai, Royal Palace of Luang Prabang, Phusi and Xieng Tong temple ad National Museum Kaysone Pomvihan etc. Also a special program was carved off for professor dr. Anton Caragea as WORLD AMBASSADOR OF NATURAL PROTECTED AREAS to visit special natural; monuments situated along the banks of Mekong river. H.E. Professor Dr. Anton Caragea had highly praised the decision`s taken by the Government of Lao PDR to protect natural patrimony, environmental protection and sustainable development for this important touristic areas. On 9 May 2013 in an impressive ceremony full of pomp and paraphernalia the WORLD BEST TOURIST DESTINATION AWARD FOR 2013 was bestow to the people and Government of LAOS. The ceremony reuniting leaders of Government of Lao PDR, diplomats, academicians, business community, cultural and media representatives had included the presentation of the AWARD FOR WORLD BEST TOURIST DESTINATION IN 2013, the presentation of the main landmark beauties and scenic spots for tourism in Lao an emotional charged speech of H.E. Dr. Bosengkham Vongdara, Minister of Culture, Tourism and Information and concluding a large area of fashion presentation, music and dance spectacle that impress favorable the numerous assistance. By the outstanding organizing the WORLD BEST TOURIST DESTINATION CEREMONY in Vientiane, the Government of Lao PDR had proved his extraordinary capacity to host international events and to organize high resounding world meeting. The successful and felicitous visit of European Council on Tourism and Trade delegation , the high level and inclusive dialogue with the relevant authorities of Lao PDR, the reciprocated vision of rapid evolving relations, the clearly marked economic, touristic and cultural opportunities are all testament`s of the desire to further extend the dialogue. On behalf of the Lao government and people, it is my pleasure and delight to welcome all delegates to the presentation ceremony of the World’s Best Tourist Destination Award for 2013 to Laos. Today, the Lao government and people are proud and delighted to have received this honourable prize, which demonstrates the great achievements of tourism development in Laos. Laos offers impressive tourist attractions and services for tourists from across the world. Minister of Culture, Information and Tourism of Lao PDR-Academician Professor dr. Bosengkham Vongdara and European Council on Tourism and Trade high ranking official`s delegation in Vientiane. I would like to take this opportunity to praise and express my sincere gratitude to the European Council on Tourism and Trade and all tourists for highly valuing Lao tourism and selecting Laos as the World’s Best Tourist Destination for 2013. I would like, especially, to welcome Prof. Dr Anton Caragea, Chairman of the European Council on Tourism and Trade, and his delegation to Laos to attend the ceremony and present the award. The Lao PDR is diverse in languages, cultures and customs, which have been inherited from our ancestors over thousands of years. The country is rich in spectacular natural resources as well as having a long and civilised history and well-known archaeological sites, which further boosts Laos’ tourism potential. With great effort and a high sense of responsibility by the Party and government since the 4th Party Congress in 1986 outlined a comprehensive renovation policy to open up for foreign cooperation, tourism has played an ever more prominent role in the country’s socio-economic development. The government has defined policy and taken action to develop and promote cultural, natural and historical tourism. To facilitate the growth of tourism and services, the government has done its utmost to develop infrastructure such as building roads to link all regions across the country as well as connecting with neighbouring countries. Over the past 4-5 years, the government has exerted utmost efforts to increase the number of border checkpoints to integrate with countries in the region and the world at large. At present, the Lao PDR has 23 international checkpoints, of which 21 can issue visas. Laos has four international airports (Wattay International Airport, Luang Prabang International Airport, Savannakhet International Airport and Pakxe International Airport). Visas have been exempted for citizens of Asean member countries. Laos has also granted visa exemptions to citizens of Japan, Republic of Korea, Switzerland, Russia, Mongolia and Luxembourg. The authorities have redefined that visas issued at checkpoints permit the holders to stay in Laos for 15 days, reduced from 30 days previously. According to Prime Ministerial Order No. 15 issued on June 20, 2006, these visas can be extended by the provincial authorities instead of only by the Vientiane authority as before. In addition, the government grants three-month visas to foreign citizens of Lao origin who acquire visas from Lao embassies, which can be extended for another three months. However, visas issued at border checkpoints grant only a two-month stay with another two months of extension. After implementing the aforesaid tourism development and promotion policy, the tourism sec tor has grown rapidly. 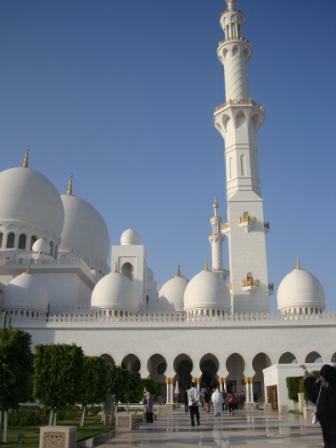 From 1990 to 2012, foreign tourist arrivals have risen by an average of 20.36 percent annually. In 2012, Laos registered 3,330,072 foreign tourists generating total revenue as high as US$513,576,784. By 2013 the number of tour operators had risen to 275 companies. Hotels and guesthouses have also increased and in 2012 there were 3,526 hotels and guesthouses offering 35,857 rooms. Laos now has 1,493 official tourist sites comprising 849 sites of natural interest, 435 sites of cultural interest, and 209 historical sites. Minister of Culture, Information and Tourism of Lao PDR-Academician Professor dr. Bosengkham Vongdara deleivering acceptance speech for LAOS: WORLD BEST TOURIST DESTINATION AWARD IN 2013. The Lao PDR shares similar characteristics with many other countries, such as different and diverse traditions and customs among its multi-ethnic people. There are also impressive archaeological and historical sites such as Luang Prabang, the historic town and living world heritage site, and Vat Phou Champassak, which is another world heritage site dating back to the 12th century. In addition, the historic caves of Viengxay (deemed to be the birthplace of the Lao PDR) have become an open-air museum, while the Plain of Jars is expected to be listed as a world heritage site in the near future. The Lao PDR also has rich and beautiful natural sites suitable for development as ecotourism attractions and green industry without smog or hazardous pollution, which will become new relaxing sites to impress visitors from the region and the world. Community-based eco-tourism programmes have become Laos’ unique feature and have great potential because they give visitors the chance to get in touch with and taste nat ure, as well as the everyday life of local people and the customs practised by the Lao multiethnic people. To translate the tourism development strategic plan for 2011-2020, the Ministry of Information, Culture and Tourism in collaboration with provincial authorities have carried out nature-based tourism activities with the participation of local people by making use of the local potential and conditions of each province. Such activities were first initiated in 2000 in Luang Namtha province, called the ‘Community-based Eco-tourism Programme’. Similar programmes now exist in all 17 provinces involving 40 districts and 160 villages, and have generated income directly for local people. In 2008, the New York Times named Laos as one of 53 countries it described as the world’s top tourist destinations. The world heritage site of Luang Prabang received the Top City Gold Award after being voted the world’s top tourist destination by Wanderlust, a UK based travel magazine from 2006 to 2008, and again from 2010 to 2012. The Community-based Eco-tourism Programme in the Nam Ha Protected Forest Area in Luang Namtha province also won an award for ‘best poverty alleviation project’ and ‘best services’ given by the United Nations Development Programme. And today, we feel proud and honoured that the European Council on Tourism and Trade awards Laos with the World’s Best Tourist Destination Award for 2013. This honourable prize will make Laos even more popular among tourists across the globe, and will drive the development of the tourism sector in our country. The Lao PDR stands ready to continue to develop the tourism sector to contribute to establishing and enhancing friendly relations among nations in the world to make a joint effort to promote peace and mutual understanding, together entering into the proper future of development under the sky of peace, friendship and sustainable cooperation. On this auspicious occasion, I would like to wish Party and state leaders and honourable Lao and foreign guests participating in this ceremony good health, success in your noble tasks, happiness and prosperity, and further contributions to the tourism development of our country for progressive success. I would like, especially, to wish Professor Dr Anton Caragea and high-level delegates from the European Council on Tourism and Trade good health, success in your noble tasks and happiness, and to further contribute to promoting Lao tourism in Europe and across the globe. We traveled here to bring to you, the people of the Lao People’s Democratic Republic, our message of friendship, peace, tolerance and mutual understanding, a message from the very heart of the Europe. This spring, The European Council on Tourism and Trade awarded the highest tourism prize, the World Best Tourist Destination for 2013 to the People’s Democratic Republic of Laos. 60 years ago a well known scientist predicted that up to the end of the last century the world will become global, and that all the people in the world will be living in “the global village”. It seems indeed that we are living now in a global world, where all the nations are called to solve complex problems of international, national, confessional, environmental and social nature. And Laos is indeed a part of this global village. The strategic perspective and the wise and balanced approach adopted by your government and by your country’s leadership is a wonderful example. Your country is connected to the world with care and confidence, step by step, keeping a balance between the international and the national perspective. This means respect for the national identity of Laos, a realization of the importance of the country’s image in the world, as well as a need for a sincere and positive cooperation with other countries for the progress and well-being of mankind. When we study the realities of Laos and place of Laos in the modern world we discover that your country is from a certain point of view the “melting pot” that the same scientist predicted, a place and a nation where interethnic, interracial, inter-confessional problems are solved peacefully, with a careful approach to the environment, people, ancient and modern culture, national and global economy. Here is a typical example of the wise manner in which the country’s leadership is solving complex problems and situations. The leaders of Laos, in accordance with the needs and expectations of the Laos society and people decided that the activities of information, culture and tourism are gathered under the same umbrella, in the same ministry, underlying the importance of the three activities, their national importance, as well as their strong interconnection. Information is vital for any human activity, for any nation involved in the process of multilateral development. The last century could be described as the beginning of the information age. It seems to be a never-ending story. Recent studies revealed the too much information from too many sources could be harmful. The individual effort of looking for information sources, receiving and decoding, selecting and interpreting may require too much effort. Too much and too divers information could be confusing. Spending too much time inside the virtual world keeps us from living in real life: to work, to spend quality time with family and friends, to meet new people and to enjoy the nature. From ancient times, teaching was the basic method of censorship and selection, of passing important information from one generation to another. Culture is the heart of every nation, of every group of people related by place, time and political context. Again, almost 40 years ago, the new leadership of your country took a wise and strategic decision to the build the identity of the Lao nation, the present and the future of the country on the heritage of the past. Wisdom and tolerance, firmness and balance, were the concepts that guided the building of a nation, proud of its past and confident in its future. The collaboration with UNESCO in identifying and carefully preserving the heritage of the Lao people is at the same time a token of admiration and respect of the whole world for the treasures of the Lao nation. As you may know, the most precious treasure of your country, are the people! They are friendly and their hospitality is already known around the world. They seem to live according to other time measures, and I am sure that the English idioms “take your time” and “take it easy” have their ancient roots in Lao! We may thank you for reminding us that there is life beyond stress, morning rush, crazy schedules and endless meetings…..
And at last, the most complex task of all: tourism. It involves resources and money, smart managers and nice people, a cultural heritage and an enchanting nature, along with good food, good transportation, good housing and most of all, good will. Taking a look at the progress made by Laos’s tourism, we may affirm that Laos has all the above incentives, and may become many years from now, a preferred tourist destination for millions of people from all over the world. It is so easy for me to bring to you all the good words from the European Union. I would like to congratulate once again your great leaders, their leadership teams and all the Lao people, men and women that contributed to building together a proud nation, admired and respected by the entire world. And finally from our hearts again congratulations for being awarded the highest tourism prize, the World Best Tourist Destination for 2013 to the People’s Democratic Republic of Laos by The European Council on Tourism and Trade. We have all gather here to pay homage to an idea and to a country that embodies this idea. The idea is encompass in the simple truth that: in XXI century tourism has become a bridge towards knowledge and friendship between peoples and countries , a way to promote peace and understanding , a road that leads towards a better future. We have also gather here to express our appreciation for a country and a people that will embody in 2013 this triumphant spirit of tourism: the people of Lao. I must re-emphasize that: tourism is in the XXI century, not only a way to enjoy life, to discover new places, new cultures but also a mass phenomenon that combines sightseeing, recreation and health care. Tourism has become, in the world today, an intrinsic value of human life and experience and what I like to call a natural right of all people: the right to move freely, to express freely and to enjoy a life of adventure and discoveries. Undoubtedly, for a country tourism is a constant and serious source of revenue, is becoming an important factor to promote development, to build roads, to offer to people a source of income and employment, a source of prosperity. But, material significance of tourism must not elapse the true value of tourism: as a way for people`s to build bridges of friendship and tolerance , to discover different cultures, ideas and way`s of life, to embrace the beauty of being different . We must also clearly mark that: tourism must be based on a set of values such as nature preservation, cultural and historical patrimony conservation for future generation and exactly for this need we have carved WORLD BEST TOURIST DESTINATION AWARD as an international recognition for the country`s that are respecting this values . 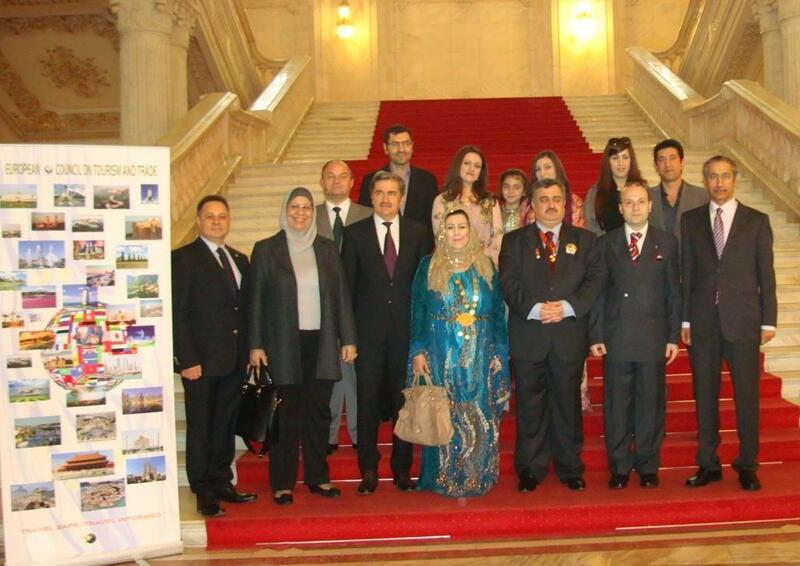 I must say what a privilege is for our delegation to honor a country that is becoming a WORLD BEST TOURIST DESTINATION. It is also a great pleasure to address our salute to the great people of Lao, a people that had build throughout centuries a perfect civilization, with hundreds of monuments of historical and civilization relevance ,a people that had offered to humanity countless riches: from religious temple and scriptures to literary texts and historical writings . Today, Lao had become a cultural and touristic world power and the main credit belongs, without a doubt, to the great people of Laos, that from 1975 onwards is constructing a life of dignity, liberty and tolerance in a free country. Today, in a world that rarely accepts and tolerates difference, we come to honor a country of TOLERANCE, in a world crowded with pseudo-culture, without a form and substance , we come today to honor a TRUE CULTURE , in a world that is loosing the true values, we come today the honor a real TOURISTIC VALUE, in a time in which to many speak and do not act for historical sites preservation , we come to honor a PARADISE OF HISTORY , we come to honor the People`s Democratic Republic of LAO . Here, we have all gather to show our support for the values of humanity, of educational and cultural tourism . We are all here in the search for a country that offer to tourists a complete experience , a country that educates spirit, elevates soul and gives everybody a lesson in history and culture. We all have found in LAO the perfect teacher in tourism, offering to all the tourist`s of the world the possibility of a safe, pleasurable and enlightening tourist experience. – The preservation of an outstanding historical and cultural patrimony that comprises wonderful sites such as: Wat Phu- a UNESCO World Heritage Site from 12th century, the remarkable site from Plain of Jars, offering an insight into Neolithic civilization and a rare window into traditions of centuries. A name that needs no introduction: the UNESCO heritage site of Luang Prabang, with the gems of Haw Kham and Vat Xieng Toung monastery. I could continue for hours this list of treasures, but I will enumerate just in Vientiane- Wat Si Saket, the oldest temple of the city and the world famous That Luang complex. Today, Lao is offering an open air museum, a rare collection of historical and archeological treasures that educate and enrich the world. – The preservation of religious sites of world significance and value such as: Wat Xieng Thong, one of the most important of world Buddhism monasteries and remains a significant place for the spirit of religion and traditional art. Other sites that must be mentioned such as: Wat Phu ( UNESCO heritage site) and Champasak Cultural Landscape ( under UNESCO recognition). Keeping alive spiritual tradition, integrating tourist`s and visitors in the atmosphere of the Lao people, offering possibility for an enriching cultural experience, are all achievements that transform Peoples Democratic Republic of LAO in a spiritual destination of first hand. – Promoting a new concept of community based tourism, friendly to nature, with low ecological impact and preservation of natural biodiversity and protection of endangered species and areas, especially rainforest eco-climate. Community based ecotourism is a way to share revenues and income, to support rural communities in prospering and presenting there foodstuff and handicrafts to the world and to make the base for an economic local development. Sharing tourism benefits to all the population, offering a social tourism it is a lesson that Lao is offering to the world. Supporting Lao community tourism project as a way to spread wealth, it is a duty for everybody and one of the main reason for portraying Laos as a world example of democratic tourism , a tourism that is not only offering benefits to the rich, but to all people. Lao example must be appreciated and supported , and all tourist that are going to Lao must know that an investment in Lao tourism is an investment in the future of Lao people. – Offering to tourists not only a historical and outstanding cultural experience but also the possibility to explore nature , to contribute to ecological preservation and the opportunity to visit extraordinary space such as: Nam Ngum reservoir , Bolaven plateau, Mekong river islands , Mekong river boat trip , Tad Kouangsi waterfall , the cave of de Ting . All this are model of achievements in ecological and green tourism that must be world recognized . – The continuous development and protection of cultural and historical patrimony of Peoples Democratic Republic of LAO, the transformation of Vientiane in a historical and spiritual center offering to the visitor a glimpse into rich culture and heritage of peoples of Lao. For all this reasons, among many others, European Council on Tourism and Trade decided, unanimously, to award WORLD BEST TOURIST DESTINATION FOR 2013 title to PEOPLE`S DEMOCRATIC REPUBLIC OF LAOS and to declare PEOPLE`S DEMOCRATIC REPUBLIC OF LAOS- FAVORITE CULTURAL DESTINATION in 2013. This title is an international recognition of Your work for Peoples Democratic Republic of LAO until today, in the service of history and civilization, tourism and culture , in the service of the people of LAO, but is also a challenge because now we are expecting your services in the future benefit of the world culture and tourism. May this award be transformed in a support for developing the international standing of Peoples Democratic Republic of LAO , for a sustainable tourism and development and in a base for further success for SIMPLY BEAUTIFUL – Peoples Democratic Republic of LAO . Is my privileged to award Your Excellency, as representative of tourism of PEOPLE`S DEMOCRATIC REPUBLIC OF LAOS the award for WORLD BEST TOURIST DESTINATION FOR 2013. We congratulate You and people of Peoples Democratic Republic of LAO for this outstanding achievements. Professor dr.Anton Caragea opens the European Council on Tourism and Trade session to elect WORLD BEST TOURIST DESTINATION FOR 2013. On 26th of April 2013 in a public séance of the European Council on Tourism and Trade, gathering representatives of tourism organizations from European continent has debated the list of candidates for WORLD BEST TOURIST DESTINATION for 2013. Professor Dr. Mircea Constantinescu, Director of Tourism Academy had presented a report on the last year situation of the Award for WORLD BEST TOURIST DESTINATION that was dedicated to Trinidad and Tobago and it was used accordingly with rules and regulations and have being proving highly efficient in attracting new tourists and investor`s. In 2012 Trinidad and Tobago had reversed the downward spiral in number of tourists and revenues provided by tourism and was the ONLY country in the Caribbean region that registered an increase in number of visitors despite economic crisis. Increase in investment, increase in tourism potential and number of foreign visitors was the positive outcome of awarding WORLD BEST TOURIST DESTINATION to Trinidad and Tobago in 2012, concluded professor Mircea Constantinescu. Mr. Petru Lificiu, Minister and Vice-President of European Council on Tourism and Trade read out and presented the candidatures for WORLD BEST TOURIST DESTINATION AWARD 2013. On the debate for WORLD BEST TOURIST DESTINATION AWARD FOR 2013 professor dr. Anton Caragea , President of European Union Council on Tourism and Trade ( ECTT) presented the report titled : LAOS : A TOURISTIC AND CULTURAL PARADISE proposing LAOS as the winner of WORLD BEST TOURIST DESTINATION FOR 2013. President of European Council on Tourism and Trade, Professor dr. Anton Caragea presents the reasons for selecting LAOS as WORLD BEST TOURIST DESTINATION. – Offering to tourists not only a historical and outstanding cultural experience but also the possibility to explore nature , to contribute to ecological preservation and the opportunity to visit extraordinary space such as: Nam Ngum reservoir , Bolaven plateau, Mekong river islands , Mekong river boat trip , Tad Kouangsi waterfall , the cave of de Ting . All this are model of achievements in ecological and green tourism that must be world recognized . – The continuous development and protection of cultural and historical patrimony of Peoples Democratic Republic of LAO, the transformation of Vientiane in a historical and spiritual center offering to the visitor a glimpse into rich culture and heritage of peoples of Lao . – The preservation of an outstanding historical and cultural patrimony that comprises wonderful sites such as: Wat Phu- a UNESCO World Heritage Site from 12th century, the remarkable site from Plain of Jars, offering an insight into Neolithic civilization and a rare window into traditions of centuries The preservation of religious sites of world significance and value such as: Wat Xieng Thong, one of the most important of world Buddhism monasteries and remains a significant place for the spirit of religion and traditional art. Other sites that must be mentioned such as: Wat Phu ( UNESCO heritage site) and Champasak Cultural Landscape ( under UNESCO recognition). – Keeping alive spiritual tradition, integrating tourist`s and visitors in the atmosphere of the Lao people, offering possibility for an enriching cultural experience, are all achievements that transform Peoples Democratic Republic of LAO in a spiritual destination of first hand. 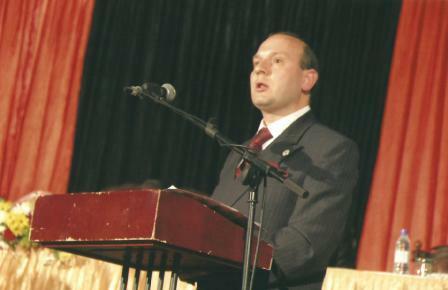 Senator Ionel Agrigoroaiei, Director in European Council on Tourism and Trade. After hearing the report, Senator Ionel Agrigoroaiei, from Romanian Parliamentary and Director in European Council on Tourism and Trade had express the feeling`s of all present at the gathering declaring that: LAOS is a strong candidate, with a perfect record of promoting clean, ecological and social oriented tourism and that only a unanimity vote in favor of LAOS could express the European tourism and economic community decisive action in favor of such a world model. Mr. Mark Doda, representing Balkan countries at the meeting had also stated the desire of peoples of South-East Europe to support a new model of tourism in the present economic climate, a community based tourism on Laos example. In the end of the debate European Council on Tourism and Trade decided, unanimously, to award WORLD BEST TOURIST DESTINATION FOR 2013 TITLE TO LAO PEOPLE`S DEMOCRATIC REPUBLIC and to declare LAO PEOPLE`S DEMOCRATIC REPUBLIC -FAVORITE CULTURAL DESTINATIONS in 2013. 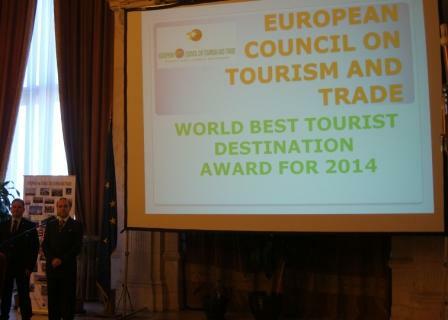 Delegates from 30 european countries voted in WORLD BEST TOURIST DESTINATION competition. It was also presented the Official Invitation, on behalf of Ministry of Information, Culture and Tourism of LAO for a delegation of European high ranking official of European Council on Tourism and Trade, to present the WORLD BEST TOURIST DESTINATION AWARD in Vientiane, in person, to His Excellency Minister of Tourism Professor dr. BOSENGKHAM VONGDARA. European Council on Tourism and Trade conference on WORLD BEST TOURIST DESTINATION for 2013. Awarding the highest tourism distinction of European Council on Tourism and Trade, accepting the invitation for an working visit of high ranking members of European Council on Tourism and Trade in LAOS, are estimated all tourism experts as a good example of close tourism relations and mutual consensus between Europe and Laos, said at the end of the meeting Professor Anton Caragea, President of European Council on Tourism and Trade. 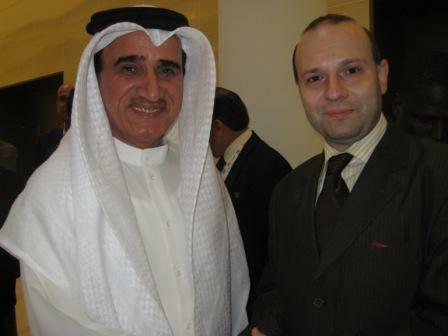 Between 25 November -4 December 2011 an european media delegation chaired by Professor Dr. Anton Caragea, President of European Council on International Relations, attended the 40-th National Day Celebration of United Arab Emirates in Abu Dhabi, at the invitation of United Arab Emirates National Media Council . The presence of an European delegation at United Arab Emirates National Day became a regular event in the last years and a proof of the deepening ties between Europe and United Arab Emirates. 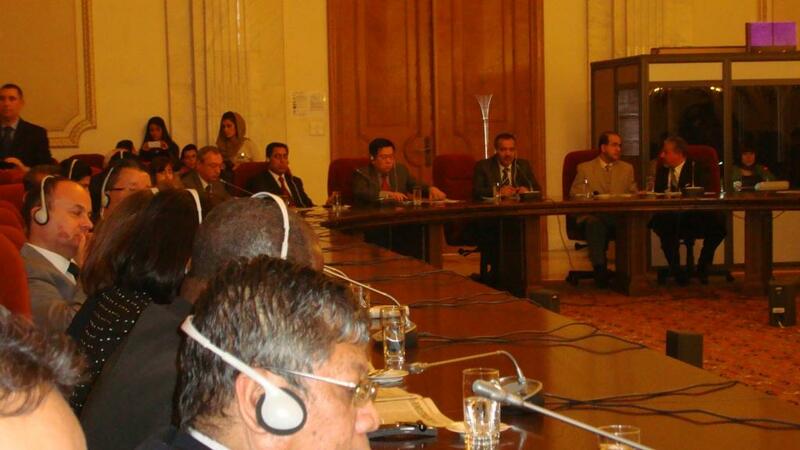 The European delegation held meetings with: H.H. Sheikh Abdullah bin Zayed Al Nahyan – UAE Minister of Foreign Affairs, H.E. 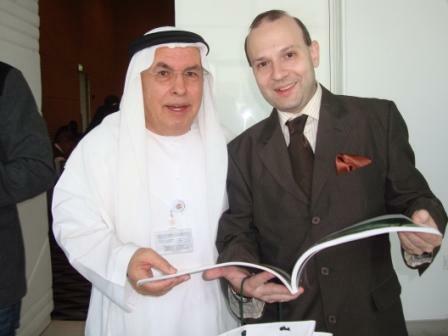 Omar Abdullah, Department of Economic Development of UAE, Central Bank Governor – H.E. Sultan Nasser Al Suwaidi , H.E. 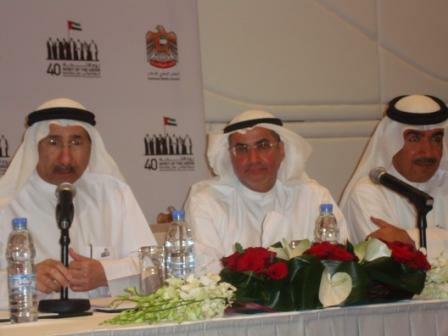 Saqr Ghobash, Minister of Labor, H.H. 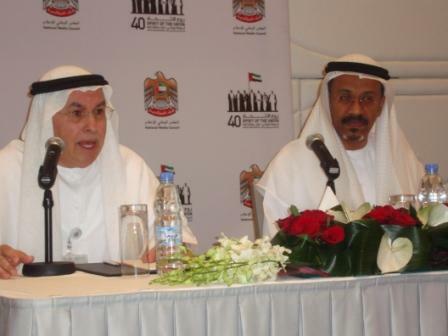 Sheikh Sultan bin Tahnoon – Chairman of the UAE 40-th National Day Committee , Dr. Sultan Al Jabber CEO- Masdar City , H.E. Razan Khalifa Al Mubarak , General Secretary of Abu Dhabi Environment Agency. Also european media delegation attended the open speech and meeting with people of Dubai of H.H. Sheikh Mohammed bin Rashid Al Maktoum – Vice-President and Prime Minister of UAE and Ruler of Dubai and was invited at launch by H.H. Sheikh Nahyan bin Mubarak Al Nahyan – Minister of Higher Education and Scientific Research at his palace. Beside the dense official meetings program, the European delegation enjoyed a sophisticated cultural program destined to offer a glimpse of United Arab Emirates extraordinary achievements in the latest 40 year of independence. The highlights of the cultural program included a participation at an Omani Classic Music Concert, hosted at Emirates Palace by H.H. Sheikh Nahyan bin Mubarak Al Nahyan , a visit to Burj Khalifa –the world tallest building from Dubai , a safari experience of dune traveling , a visit at Zayed University where Prof.dr. Anton Caragea held a dialogue with the students, professors and academic core of the university and a visit at the splendid Sheikh Zayed Grand Mosque. The visit of the european media delegation in United Arab Emirates is yet another demonstration of the ever deepening ties between European Union and United Arab Emirates in fields of culture, media, economy and political dialogue. It is a rare occasion and a friendship declaration when European delegation attend National Day Celebration of another country and this is a supplementary demonstration of the brotherly spirit that unites European Union and United Arab Emirates( UAE). Finally the European presence on 2 December-the National Day of Emirates is an evidence of Europe`s people support for the UAE outstanding achievements and positive model offered to the world, stated prof.dr. 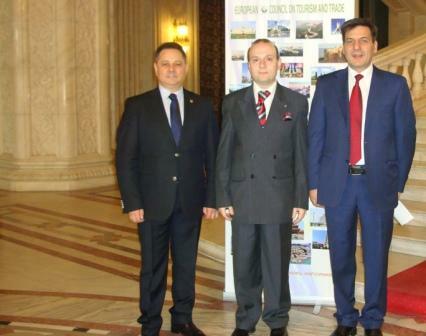 Anton Caragea, President of European Council on International Relations upon his return. 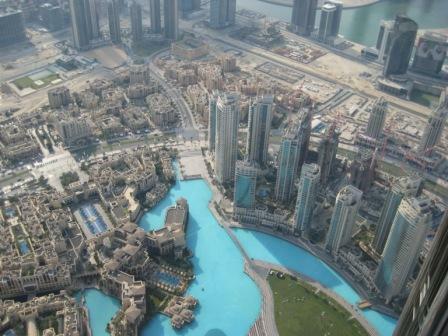 Dubai – aerial view from Burj Khalifa – the world tallest constructing in Dubai .